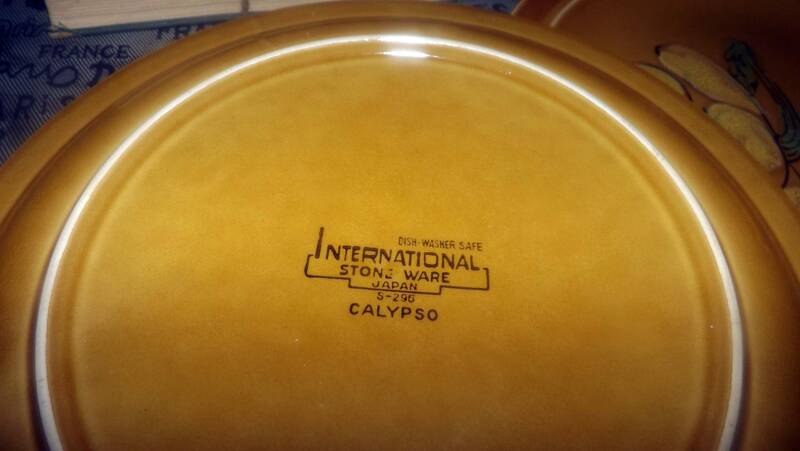 Vintage (1970s) International Stoneware Japan Calypso S296 large rimmed dinner plate. Free-form yellow flowers, leaves, brown ground. 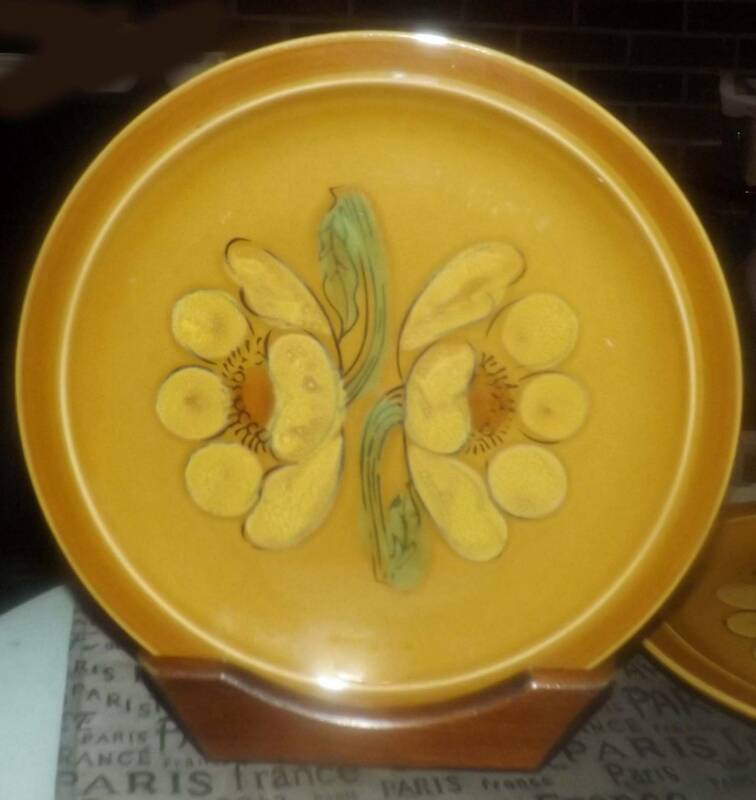 Vintage (1970s) International Stoneware Japan Calypso pattern S-296 large rimmed dinner plate or charger featuring large, free-form yellow flowers with green leaves set onto a brown ground. In EXCELLENT! condition with NO! chips, nicks, cracks or fleabites, NO! crazing and NO! marks or stains. 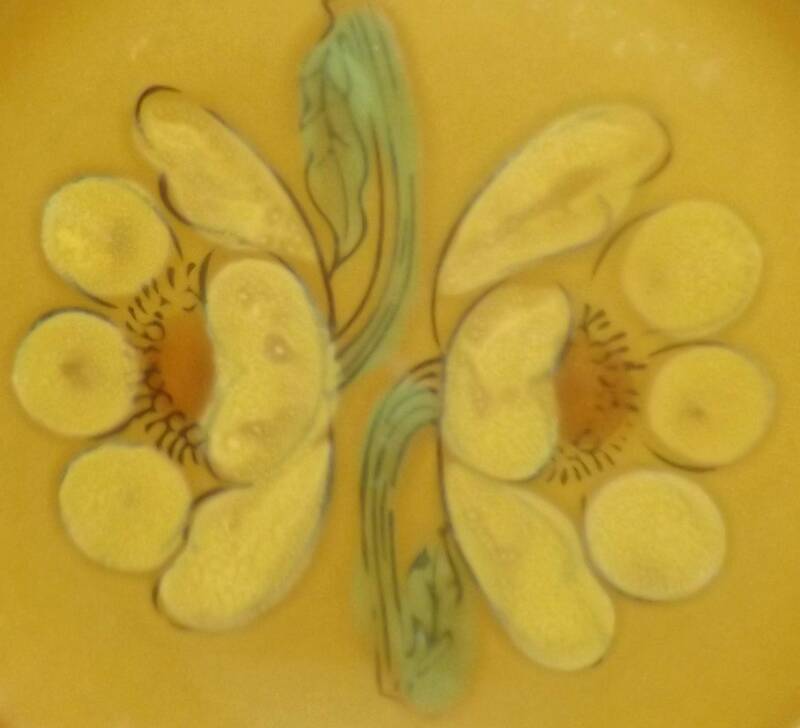 The surface of the platter shows a few LIGHT! scratches, but otherwise there are NO! signs of use or wear. The free-form yellow florals and greenery are bright and vivid with NO! fading apparent. 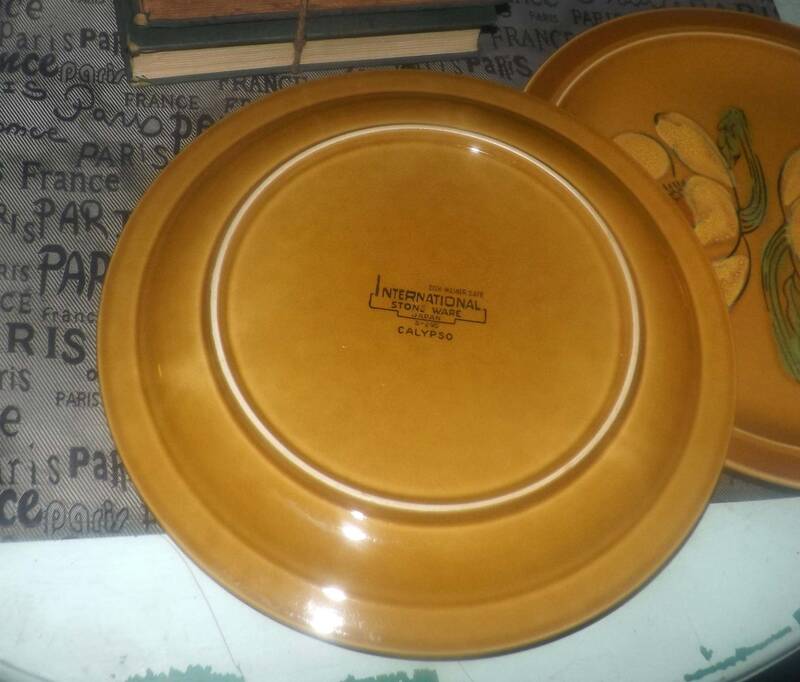 Approximate measurements: 10-3/4" in diameter (measured edge to edge).